With the tendency of remakes and dramas to revisit the same plot, I thought that I'd be bored with Never Gone 原来你还在这里. I was wrong though, the moment I started watching, the back and forth between the main story and the constant flashbacks brought pure nostalgia. While the story itself is simple, it is relatable and emotionally stirring. I actually find the cast really good in their roles and the resemblance between the old and young characters really evident. I mean, it's quite hard to get two actors of different ages to play the same character, but they did it. A level-headed heroine. It's a nice morning in Shanghai. Su Yunjin (Yang Zishan), a career woman, is preparing for a meeting. Suddenly, out of nowhere, a woman claiming to be the wife of Director Xu splashes a glass of red wine on Yunjin and yells at her to stay away from her husband. Yunjin reacts calmly and heads to the restroom to get herself cleaned up. Her friend brings in some fresh clothes, saying that an unknown woman gave it to her. A wedding invitation from old friends. The scene then shifts to a handsome man (I assume he's married because of the ring?) whom the unknown woman calls Cheng Zheng (Han Dongjun). 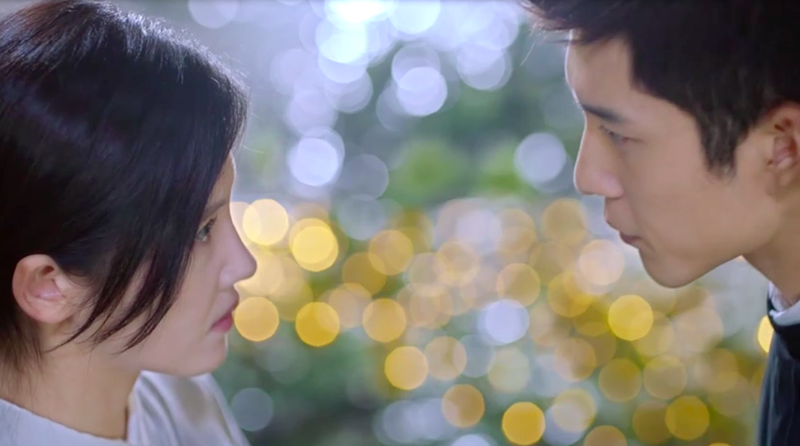 She informs him of what happened and at the same time, Cheng Zheng receives a wedding invitation from Meng Xue (Wen Xin), an old classmate, who tells him to attend the wedding in spite of some people he may see there. Yunjin also receives an invitation. Meng Xue apologizes for an incident that happened that year. She hopes that Yunjin will forgive her and attend the wedding. There isn't any clue as to what happened in the past. Young again. Yunjin's thoughts take her back to her high school days. Her father's illness had left their family destitute and her mother works multiple jobs to try and make ends meet. Because of this, Yunjin (Li Landi) chooses to pursue a major in the sciences in hopes of making their lives better even though she clearly has a hard time with the subject. Director Xu apologizes. Adult Yunjin gets a call from Director Xu who says that he's waiting for her outside her apartment. He has come to apologize on behalf of his wife. I can see that he likes her and it seems that his wife's doubts are not without basis. Yunjin on the other hand takes it only as a friendly gesture. The first time they met. There's another flashback to when Yunjin was a high school girl. Her teacher discourages her from pursuing sciences, saying that she has more potential in humanities. Yunjin refuses to hear reason, but even with the help of her friend Mo Yuhua (Li Gengxi) who gives her reviewers, Yunjin's lack of aptitude shows and she doesn't understand a thing. 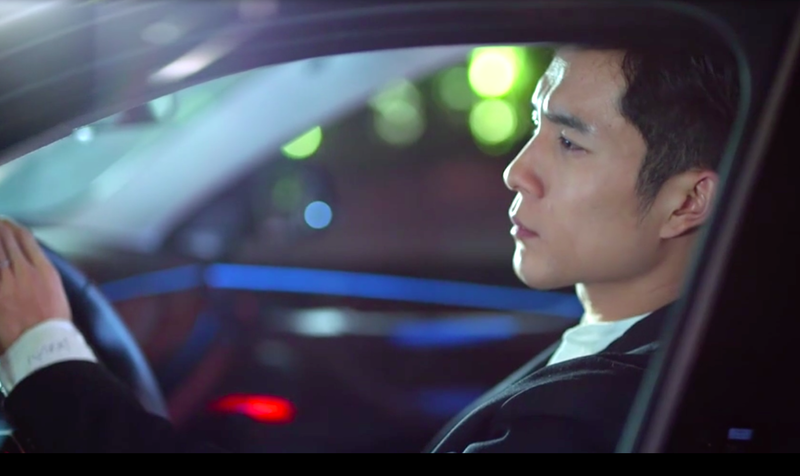 Cheng Zheng (Hu Xianxu) sees this from outside, and even if it's his first time seeing her, he already knows that he's found the girl of his dreams. He follows her everywhere, offering his polo shirt when she accidentally rips hers, offering her hot water during her red days, and teaching her math as she struggles to stick with her decision to pursue a field in science. This was one of the dramas I was hoping to watch but unfortunately it doesn't look like we will get any English subs. I love Han Dong Jun's Cheng Zheng. This story is redundant but the actors deliver the characters so well. Directing is good and i can't I don't mind watching Mo Yuhua and Zhou Ziyi as well. The only thing is that i find Yang Zishan a little old compare to Han Dongjun visual wise.